Our resident trolls never stops at anything to try to defame me. After I forced her to donate to Oxfam yesterday ending a year long lie, she is now promoting a new post with lies about me. 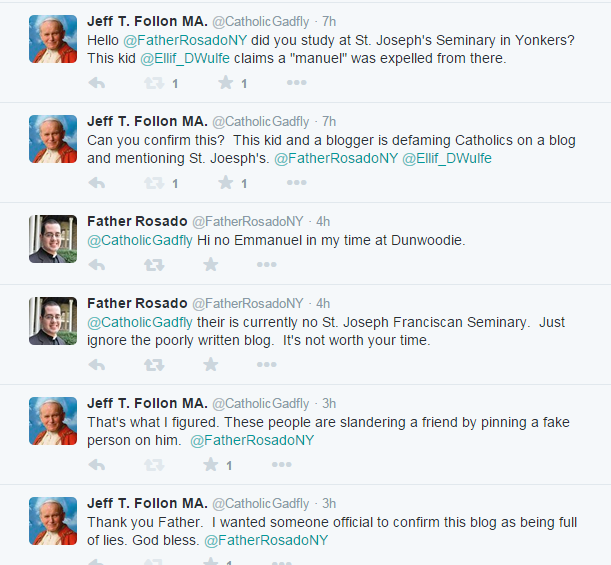 Now "Rosa Rubicondior" is claiming that I was expelled from St. Joseph's Seminary in Yonkers, New York. First she said that I was at St. Joseph Franciscan Seminary which closed in 1977 and would have made me into a time traveler because I was born way after 1977. Now she is using St. Joseph's Seminary. Ever since she ran away from debating me (see: https://www.youtube.com/watch?v=5mw5C0LlkcY ) and I revealed her and her fraudulent activity, her hate for me gotten the best of her. She will make up anything in order to defame me. The truth? How can I be expelled from a seminary I never went to? Father Rosado of the Archdiocese of New York was kind enough to confirm this publicly. He studied at that seminary around the time "Rosa Rubicondior" claims I attended. @CatholicGadfly their is currently no St. Joseph Franciscan Seminary. Just ignore the poorly written blog. It's not worth your time. @CatholicGadfly Hi no Emmanuel in my time at Dunwoodie. 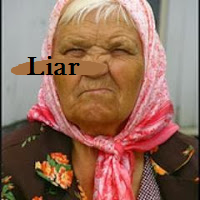 Only a moron would buy into "Rosa Rubicondior's" lies. It seems Twitter trolls "Ellif_dwulfe" is so gullible that he believes these lies. Funny how he is quick to question me, other Catholics and even a fellow atheist, but never questions "Rosa Rubicondior" or how she got the information regarding the expulsion of a seminary student. Do these two people really think that information like this is made public by any school? There is such a thing as RIGHT TO PRIVACY.